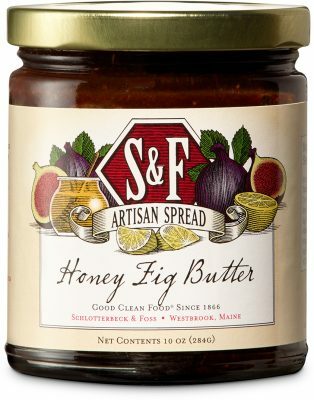 Sweet figs are mixed with honey and simmered down to concentrate their flavor; the result is a thick paste rich with fruity complexity. Include on a cheese plate with roasted nuts for gourmet flair. Add to a pan sauce for pork or chicken. Use as a filling for homemade muffins. Figs, Water, Cane Sugar, Honey, Lemon Juice Concentrate, Pectin.